The PCI-8158 delivers high-frequency pulse rates of up to 6.55 MHz and features hardware-controlled emergency input stop, software security protection to avoid plagiarism, card index switch, and linear/circular run at the same time for that exceed the industry"s cost over performance requirements. Compatible with Mitsubishi, Panasonic and Yaskawa servos and steppers, the PCI-8158 allows complex moving patterns through multiple axes that move with linear and circular interpolations using continuous contouring. 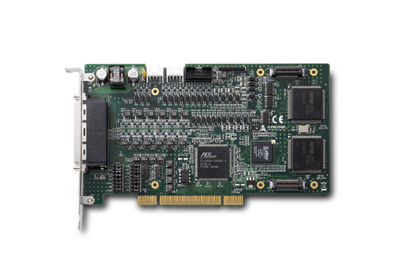 Applicable for various linear-wise and circular-wise trajectories, the PCI-8158 delivers the smoothest motion control for a wide-range of manufacturing applications. Besides, PCI-8158 design is modularized. 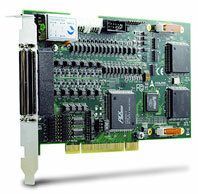 ADLINK provides extension board for distributed I/O control, high-speed triggering and ECAM control.